Exceptional early 18th century design of a double bonnet Queen Anne style secretary. 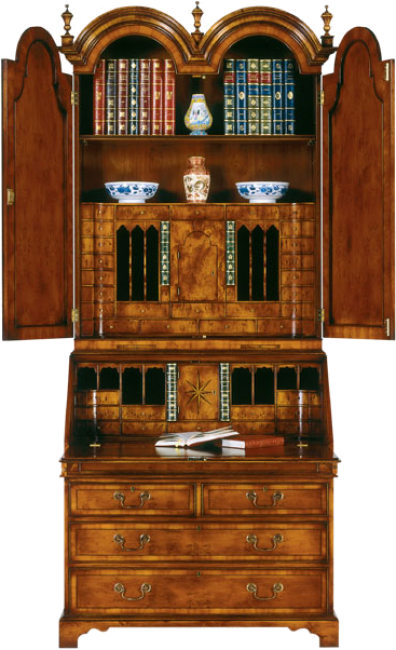 This piece takes over 500 hours to make and is the finest example of English cabinetry and French polishing on the market today. Both the top section and lower section are fitted with drawers and a "secret" compartment. The botton section has two short and two long drawers with antiqued solid brass hardware, and sits on bracket feet. This secretary is also availabel with mirrored doors.